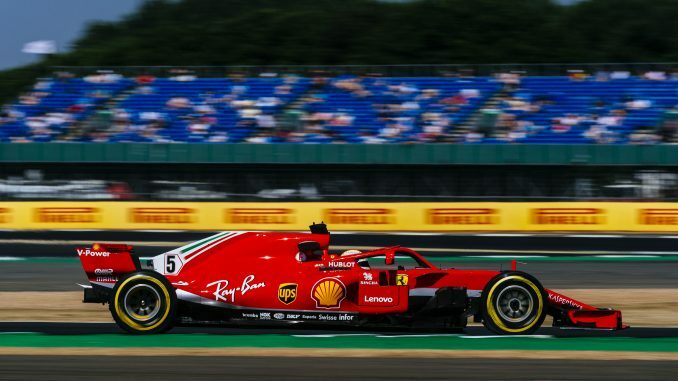 Sebastian Vettel set the fastest time in FP2 at the British Grand Prix, but it was Lewis Hamilton who set the quickest time of the day after topping the timesheets in the first practice session at Silverstone. 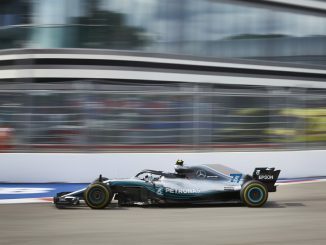 Mercedes made a strong start to proceedings, with Hamilton’s 1:24.487 in FP1 unbeaten throughout the day, while Valtteri Bottas ended the morning session second behind his teammate as Vettel was over 0.5s adrift. 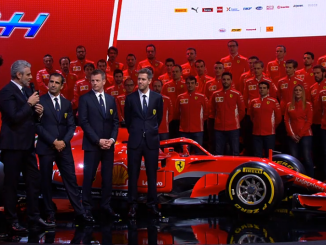 However, the Ferrari showed stronger pace in the afternoon, with less than half a second splitting the four drivers from Mercedes and Ferrari. It was a mixed day for Red Bull as Daniel Ricciardo was faster than Kimi Raikkonen in the morning, but Max Verstappen missed the end of FP1 with an apparent gearbox problem before crashing early in the second session, preventing him from setting a time. Verstappen wasn’t the only driver not able to post a time in FP2 as Romain Grosjean was forced to sit out the afternoon session. The Haas driver, fresh from his first points finish of the season, ran wide and hit the wall, forcing the team to rebuild the car with a new chassis. Kevin Magnussen was called before the stewards for a near miss with Fernando Alonso in the earlier session, before finishing 12th in FP2. It looks like it will be a close battle in the midfield, with Alonso, Nico Hulkenberg and the two Force India drivers separated by less than 0.3s in FP2. Alonso was the fastest driver outside the top three teams across both sessions, narrowly beating the time set by Grosjean in the morning, but teammate Stoffel Vandoorne struggled in the sister McLaren, ending FP2 in 17th, over 0.8s slower than the Spaniard. Hulkenberg had been off the pace in the morning, but improved after lunch to finish the day comfortably quicker than teammate Carlos Sainz, who was unable to get in the top 10 in either session. Force India were the only team outside the leading three to have both cars in the top 10 in both sessions. Sergio Perez got the better of Esteban Ocon by just 0.003s in FP2 before the French driver edged ahead in the afternoon. Charles Leclerc continued to impress in the Sauber, improving his time from the morning to complete the top 10 in FP2, almost half a second faster than teammate Marcus Ericsson. Lance Stroll showed surprise pace in the Williams in the morning, ending the session 10th, although Sergey Sirotkin was the slowest driver in FP1. 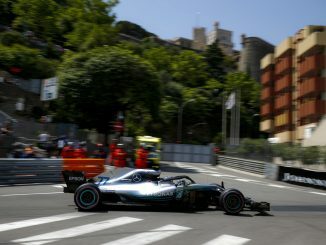 As other drivers found their rhythm later in the day, Stroll slipped down the order, with the Williams duo ending the day 15th and 16th in a session where two drivers didn’t set times. The two Toro Rosso drivers had contrasting performances, as Pierre Gasly showed he could challenge for a place in Q3 tomorrow, ending the day less than 0.3s outside the top 10 after a strong showing in the morning. Brendon Hartley couldn’t match his teammate’s times though, and was the slowest of the 18 drivers to set a time in FP2.